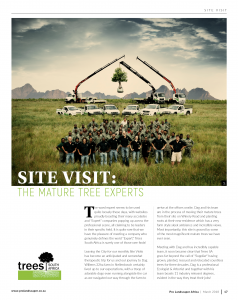 We are proud to be featured in the March 2018 Prolandscaper magazine. Pro Landscaper Africa will establish itself by following the well-founded formula established by the renowned Pro Landscaper and Pro Landscaper Gulf. 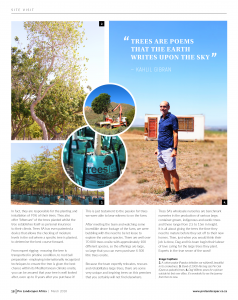 We combine key international knowledge and highlight the exceptional work being done in Southern Africa; celebrating leading designers, contractors and associations to unite the industry under one magazine title. With authentic content from leaders and influencers within the landscaping industry, our revitalised readership, combined with quality content, will quickly establish Pro Landscaper Africa as an anticipated monthly read and a valuable marketing strategy for businesses.